The early Arab perfumers used labdanum in their recipes – ‘the sweetest-scented of all substances’, as it was described, its links to perfumery actually go back to Egyptian time, when labdanum (a.k.a. 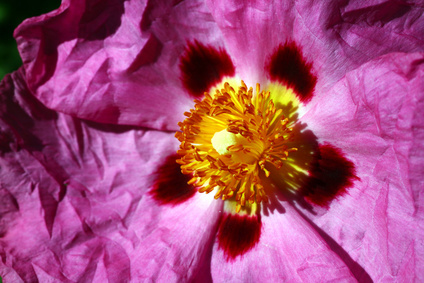 ladanon, black balsam and gum cistus) was a key ingredient in the kyphi incense blend, used for ceremonial purposes. It’s also referred to in the Bible (as Balm of Gilead). In natural medicine, labdanum’s prescribed to boost the immune system. One of the reasons it’s so widely used now is that it mimics the scent of ambergris – it’s also referred to as ‘amber’ – but it’s also a ‘fixative’, helping other ingredients to stay true, and to stay put. This warm and complex resin is sometimes perceived as leathery, sometimes honey-like, with hints of plum. Of all the fragrance ingredients out there, lavender’s probably the most widely recognised (even if blindfolded) for its soothing, calming aromatic qualities. (It’s actually been proven to quell anxiety and promote sleep.) An ancient natural remedy, lavender’s a flowering member of the mint family – well, several members, because different types of lavender are used in perfumery. The types mainly grown for fragrance are Lavandula angustifolia (or Lavandula officinalis), Lavandula latifolia, or the more camphor-y Lavandula stoechas, which smells more like rosemary. The hybrid Dutch lavender, or Lavandula intermedia, produces an oil called lavandin, with a sharper and more medicinal odour. Steam distillation’s used to extract the essential oil. 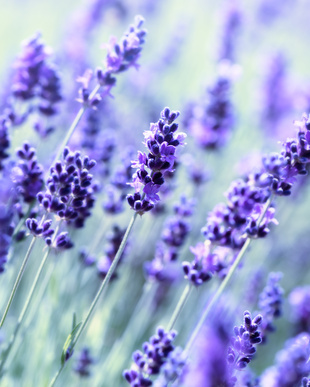 In modern fragrance, lavender is lightly used in ‘feminine’ scents, although it turns up in plenty of ‘shared’ colognes and men’s fragrances; it works well alongside other aromatic ingredients like pine, sage and rosemary, as well as patchouli, oakmoss, bergamot, neroli and orange blossom. Fragrances can be ‘leathery’ – but it’s not really essence-of-leather in that bottle, as Andy Tauer explains below. It might be from birch tar (which has a leathery smokiness), or juniper, aldehydes or other synthetics, designed to give a skin-like scent. 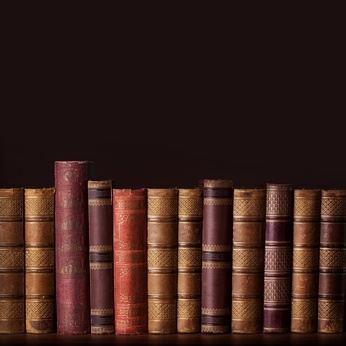 Patchouli, black tea and tobacco can also conjure up that old library/leather-jacket sensuality. Women’s chypres, and men’s fragrances, are most likely to have a leathery sensuality, but perfumers can take leather on all sorts of fragrant journeys: woody, aromatic, floral, even gourmand. Here's what leather means to perfumer Andy Tauer, and how he uses it in his creations. 'The first association, when you tell me "leather", honestly, is "Swiss Army" and me serving there as soldier: my generation had the privilege of serving in thick leather shows that were made to endure a Swiss invasion of Moscow, including the way back. Solid and as uncomfortable as can be. Every evening we had to brush them, polish them. As mixed as my memories of proudly serving in the Swiss Army are, I loved the scent of my leather boots. Rough leather, made from Swiss cows, with a thickened skin due to a happy but rough life in the Alps (we can dream, can't we?). Leather in perfumery is not a natural essential oil that you buy. Leather and perfumery go way back together, meanwhile. The links are rooted in the tradition of the ‘gantier parfumeurs’, a guild of glove-makers in Paris who fashioned gloves for royalty and the aristocracy as far back as the 15th Century. The whole tanning process smells repulsive, though, so leathers were treated with oils, musk, civet and ambergris, to mask the smell of the animals’ skins. Lemons and flowers are a perfect marriage, in perfumery. (Think of the way that lemon can ‘cut through’ rich flavours, in cooking, and you get an idea of why the two work so well together.) So while you may be familiar with lemon in Colognes and summer splashes, lemon’s actually present in many, many fragrances. Its history’s a bit blurry – were lemons first grown in Southern India, or Burma, or China…? But we do know that the Arabs brought this evergreen tree to Europe in around the 8th Century; lemon later made its way to America through seeds carried on Christopher Columbus’s ship, in 1493. The scented oil’s obtained by cold-pressing the peel – and unlike so many other plant ingredients, the aroma that you get from that process is almost exactly the natural scent of the ripe fruit’s peel. 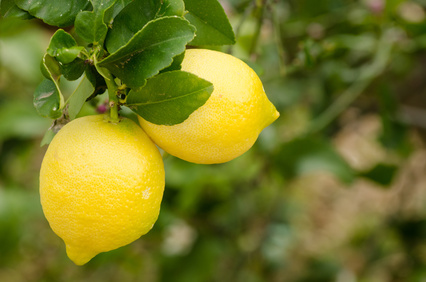 Lemons grow all over the world and are a hugely popular fruit: where would cooking be without lemon’s zest and juice…? Ditto fragrance: it delivers energy, brightness, cheer and refreshment – like sparkling, sweet sunshine, bottled. Put a few leaves of lemon verbena, or Aloysia triphylla, in a cup, add boiling water – and you’ve an incredibly refreshing drink. 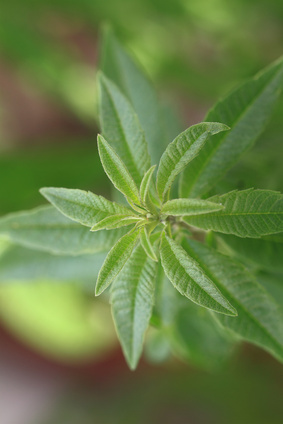 Add a little lemon verbena to a fragrance, and it delivers a brisk, pure, floral-citrus scent, like bruising the fragrant leaves of this shrubby plant between your fingers. Do you love licorice? Do you hate it? Most of us fall into one camp or the other, but even if you’re not a licorice-licker, you may still find its subtle aniseed-y, almost caramel-y note in perfumery intriguing and beguiling. It’s used to beautiful effect in gourmand fragrances, and blends with woods and earthy notes, too. 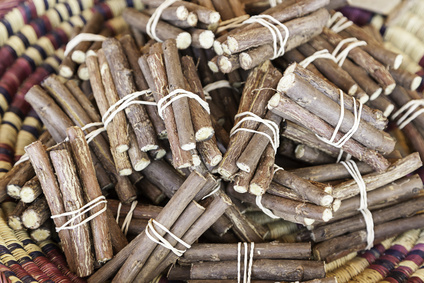 The word ‘licorice’ (or liquorice) comes from the Old French licoresse, and originally from the Greek meaning ‘sweet root’ (it really is, if you’ve ever chewed a licorice stick). It’s been around for thousands of years: archaeologists found Roman licorice along Hadrian’s Wall, and it was also uncovered in the pyramids. Though reminiscent of fennel and aniseed, Glycyrrhiza glabra is not actually related to them, however. But did you know that licorce is used in love spells…? Sprinkled in the footprints of a lover, it’s said to keep them from wandering. And in a fragrance…? Equally bewitching. Lilacs were introduced into Europe via Spain around the 16th Century, from the Arabs. The early fragrant use of the flowers was in pomanders. Our favourite lilac legend, though, is that the deep floral fragrance was believed in Celtic cultures to transport humans into fairyland and the spiritual world. 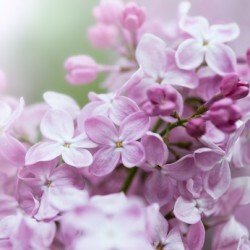 A fragrant oil can be solvent-extracted from the foamy blossoms of the Syringa plant (it comes from the Greek, meaning ‘pipe: shepherds made flutes from lilac wood and it was believed that whoever heard their music would never forget it). Nowadays, a synthetic form of lilac’s often used in contemporary perfumery, as it’s possible to recreate the tender natural fragrance perfectly, more reliably – and year round. 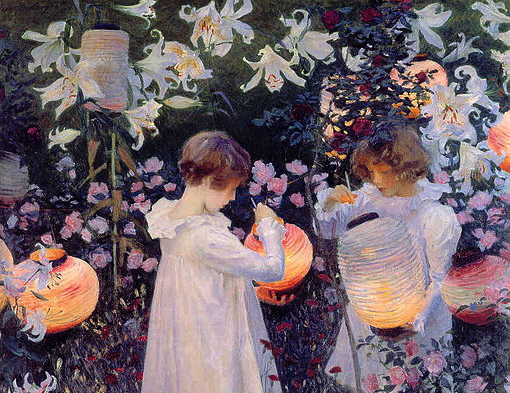 Lilies have been used in perfumery since ancient times: they were very well-loved in Egypt, as part of a perfumed ointment ‘based on the flowers of 2000 lilies’, while the ancient Greeks used Madonna lilies to make a perfume called Susinon. The lily of the valley is The Perfume Society’s ‘adopted’ flower: we simply love the French tradition of offering nosegays of this delicate nodding white bloom on 1st May to people you love and admire. (And we’ve adopted it ourselves.) The tradition goes back centuries – to Charles IX, who inaugurated it in 1561. 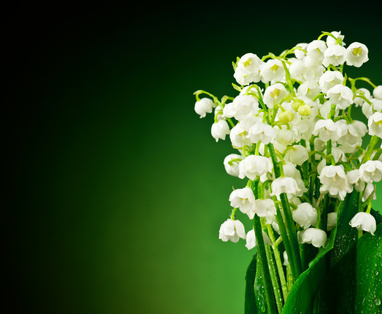 Since then, lily of the valley has also made its way into countless bridal bouquets (including that of Kate Middleton for her wedding to Prince Willliam); in many countries, it’s linked to this day with tenderness, love, faith, happiness and purity. Almost spicy, so green and sweet, with hints of lemon: that’s lily of the valley – and a more spring-like scent it’s hard to imagine. The flowers themselves are really mean with their oil, though, and synthetics are more often used to recreate lily of the valley’s magic: Lilial, Lyral and hydroxycitronellal are among them. As well as featuring widely in ‘soliflores’ (so-called ‘single note’ fragrances, which are often actually a lot more complex than that), lily of the valley works its magic in many other fragrances, used to ‘open up’ and freshen the other floral notes in a blend – as a clever writer on the Perfume Shrine blog puts it, ‘much like we allow fresh air to come into contact with a red wine to let it “breathe” and bring out its best’. Citrus aurantifolia is native to India, where lime’s used in Tantric rituals to ward off evil spirits from the body. 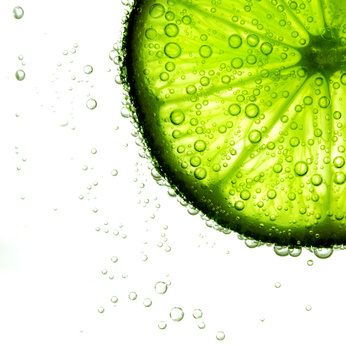 Today, limes are farmed in many places (South Asia, Florida, Italy, Cuba and Mexico), and to capture a lime’s fragrant bounty a process of expression (squeezing) or distillation can be used. Just one downside to this uplifting fruit: the oil must be used with caution: anything but the teensiest squeeze can prove ‘phototoxic’, staining the skin if worn in sunlight. Tall and stately and one of the oldest trees in existence, it’s said to date back 70 million years. The flowers of the tree are wonderfully nectarous: a magnet for bees (linden honey is particularly delicious). 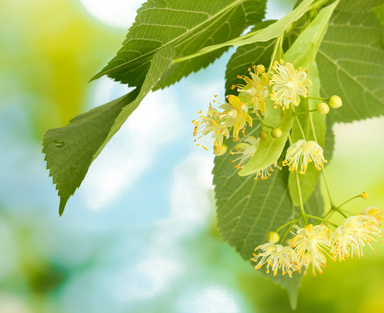 Although linden - also known as ‘tilleul’ in perfumery - can be extracted from the dried flowers, it’s usually recreated synthetically: beautifully sweet, exhilarating, bright as a summer’s day. Linalool is a fragrance compound found in rosewood oil and other essential oils, including petitgrain, coriander and lavender. Its spicy-floral character works perfectly in many different florals – though in small quantities; a known sensitiser for a very small percentage of wearers, it’s one of the ingredients which perfume houses must compulsorily list on a label.